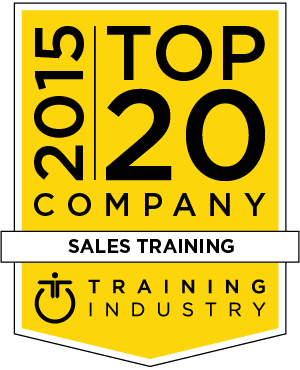 The 2015 Top 20 Sales Training Companies list recognizes the top sales training companies in our industry. These leading companies all provide outstanding service, and a proven track record for delivering superior sales training and improving the impact of the sales organization. Cohen Brown specializes in consultative and training processes for management, front-line, support/customer service units, and call centers. Cohen Brown utilizes a leader-led methodology that promotes management engagement, accountability, and motivation. Bringing together the global leadership capabilities of AchieveGlobal and The Forum Corporation, AchieveForum’s legacy includes hundreds of clients across more than 50 countries and the capabilities to address the most pressing leadership development challenges. AchieveForum works to identify the challenges that are preventing sales teams from reaching their goals. Sales Excellence offers on-site training with the latest in video, audio, web-based and mobile learning technologies. Their company spans six continents with support for over a dozen languages. Every project is a partnership defined by our client's unique business challenges and aimed at achieving their specific sales goals and objectives. DSG helps clients implement their best ideas for driving growth. DSG’s approach incorporates a blend of sales consulting, sales training, change management and best practice insight gained over the past 20 years. Skillsoft content is multi-dimensional and micro-sized, which allows for flexible training and development solutions that can target the needs of diverse populations. Skillsoft offers a variety of courses and training programs including a sales new hire program, negotiation skills, customer relationship management, and more. Since 1996, in over 30 countries, ASLAN Training & Development has focused on bridging the gap in salesforce execution. Their "results-based competency" solutions, Other-Centered® philosophy and expertise are focused on four critical areas needed to ensure sustainable change: tactics, rep development, leadership development and a road map to transformation. Holden is a global leader in sales performance development. They’ve pioneered many field-proven tools that create game-changing sales habits through online learning simulations, cloud-based software, and live deal coaching. Holden has flipped the classroom so sellers can learn while they are still in the field. CLD provides customized training solutions to leading pharmaceutical, biotech and medical device companies. By focusing on the right combination of learning, creativity, and technology, the company delivers training programs that drive sales.